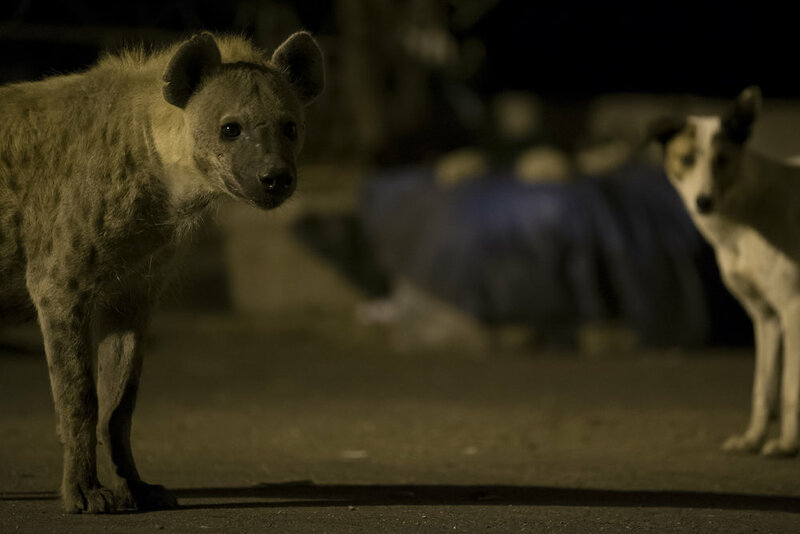 Feral dogs roam around the city and feed amongst the hyenas. 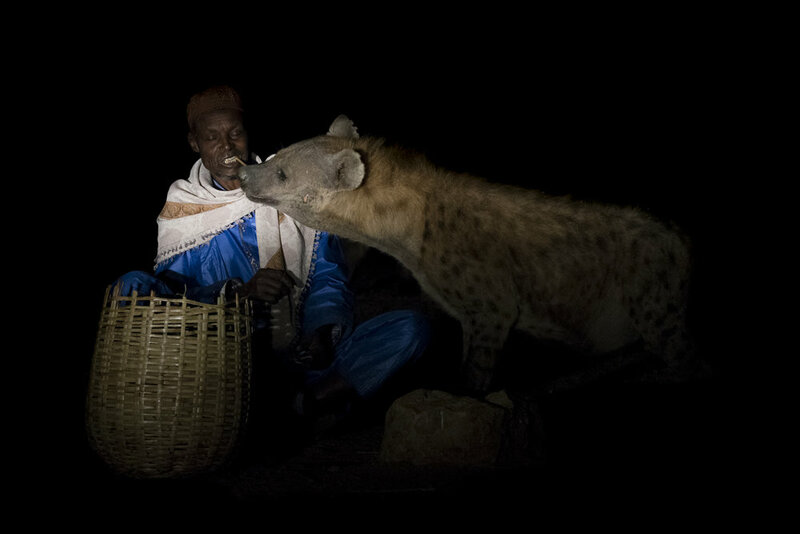 Yusuf is the oldest and one of the last remaining traditional hyena men, still in his traditional garments he feeds the hyenas for the reason he first began, spiritual reasons. Abbas, Yusuf's son has taken over the feeding now and recognises tourists will pay to watch, providing a lucrative income. 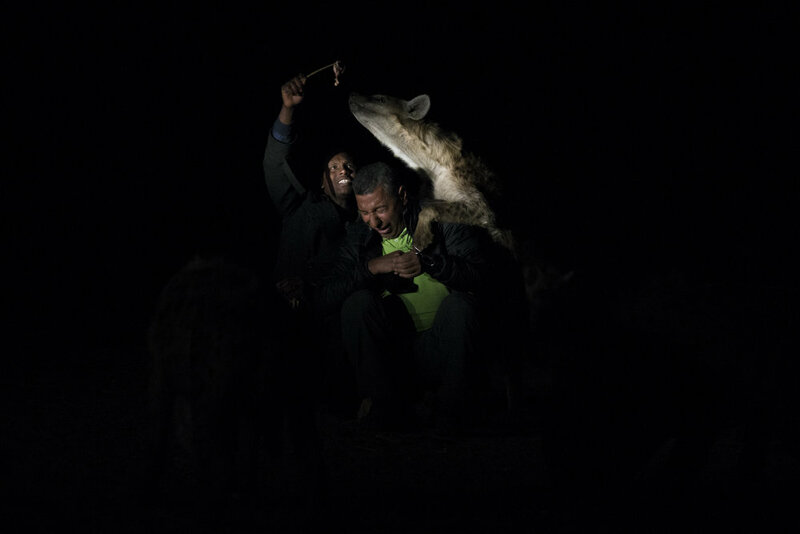 Hyenas scavenge as a group of camels are led to a local abattoir. 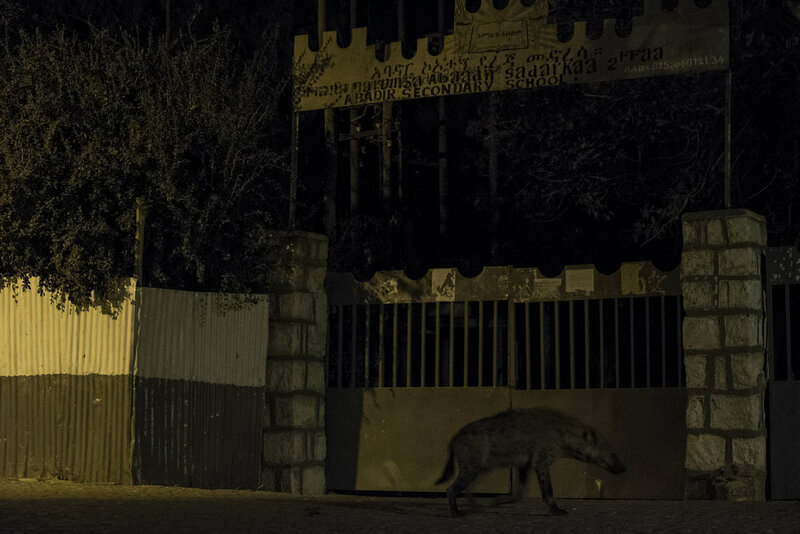 As a walled city, special hyena gates were constructed hundreds of years ago to allow access for the hyenas once the main gates were closed at dusk. 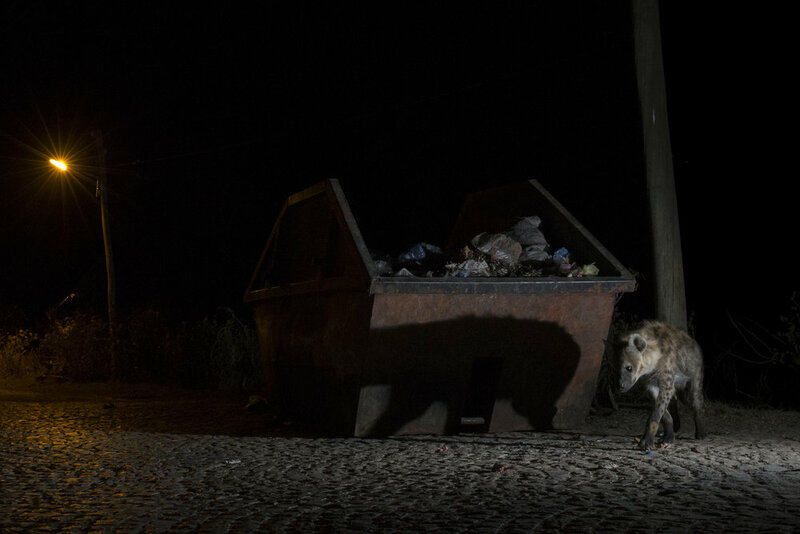 Dumpsters are the perfect place to search through the rubbish for tasty titbits.